Rhino-Rack Racks and Carriers are rugged, easy to install, economically priced, and environmentally conscious products. All Rhino-Rack Black and Silver Aero Crossbar Car Roof Racks, Rhino-Rack Kayak Racks, Saddles, Stackers, Cradles, Carriers, Rhino-Rack Roof Top Luggage Baskets, Gear Trays, Cargo Platforms, Rhino-Rack Ski Racks and Snowboard Carriers, and Rhino Racks Accessories, Fairings, Attachments and Add-ons are in stock and available for immediate free shipping from RackWarehouse.com. Rhino-Rack Aero Crossbar Roof Racks are stylish, easy to install, available in black or silver, and include locks and keys. Rhino-Rack Aero Roof Racks are available to fit naked car roofs: Rhino-Rack Black Aero Crossbar Car Roof Rack and the Rhino-Rack Silver Aero Crossbar Car Roof Rack, factory raised rails: Rhino-Rack Black Raised Railing Aero Crossbar Car Roof Rack and the Rhino-Rack Silver Raised Railing Aero Crossbar Car Roof Rack, slotted roof tracks, and factory fixed points. Rhino-Rack Roof Racks are simple to assemble and easy to install thanks to DIY (do it yourself) assembly and installation instructions. Rhino-Rack Car Roof Racks are covered by a Limited Lifetime Warranty. All Rhino-Rack Aero Crossbar Car Roof Racks are on sale, in stock, and available for immediate free shipping from RackWarehouse.com. You may also use the Rhino-Rack Fit Guide at the top of this page to find Rhino-Rack's recommended roof rack for your vehicle. Rhino-Rack individual base rack components are available to order separately or as part of a complete roof rack. Rhino-Rack Vortex VA Aero Crossbars are quiet and great looking. Rhino-Rack Leg Kits are available to fit just about any vehicle roof on the planet. Additional roof rack components include end caps, fitting kits, crossbars, leg kits and more. Rhino-Rack Car Roof Racks are covered by a Limited Lifetime Warranty. All Rhino-Rack individual components are on sale, in stock, and available for immediate free shipping from RackWarehouse.com. You may also use the Rhino-Rack Fit Guide and the top of this page to find Rhino-Rack's recommended roof rack for your vehicle. 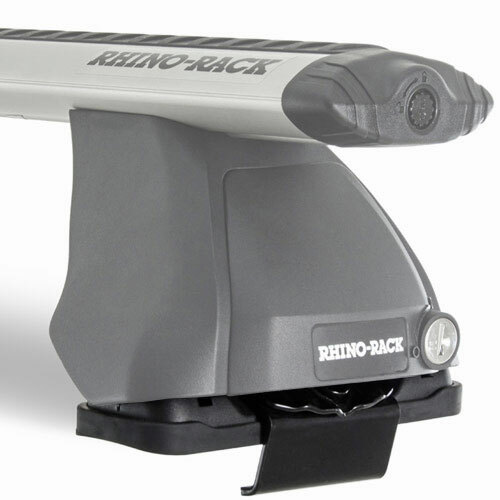 Rhino-Rack Ski Racks and Rhino-Rack Snowboard Carriers are in stock and on sale at The Rack Warehouse. 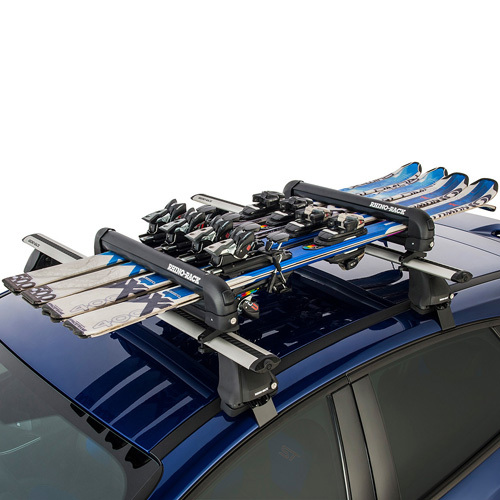 Rhino-Rack ski and snowboard racks and carriers that hold up to 6 pairs of skis or 4 snowboards are available for immediate free shipping. 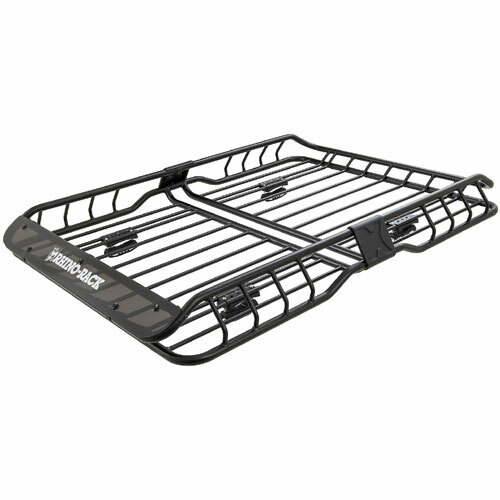 Rhino-Racks ski racks and snowboard racks like the Rhino-Rack 4 Pair Ski Rack 2 Snowboard Carrier are in stock. Oversize buttons and knobs make all of these ski and snowboard racks easy to operate with bulky gloves or mittens. 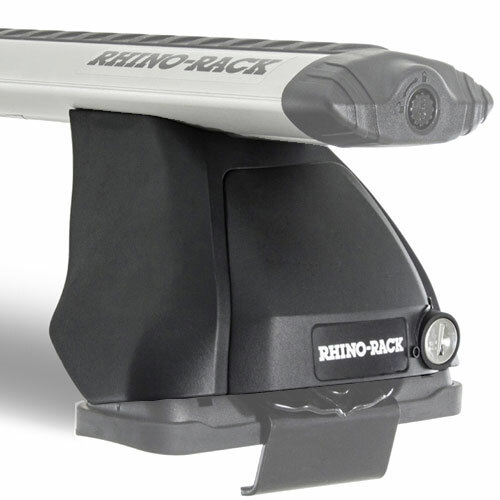 Plus, all Rhino-Rack ski and snowboard racks include locks and keys to help secure your valuable gear. Rhino-Rack Kayak Racks and Carriers are in stock, on sale, and available for immediate free shipping. The Rhino-Rack Nautic 580 Side Loading Kayak Carrier Saddles and Rhino-Rack Nautic 581 Rear Loading Kayak Carrier Saddles mount directly into the top c-channel of Rhino-Rack Aero Racks, Whispbar Wing Shaped Roof Racks and Thule AeroBlade Racks. The Rhino-Rack S512 Folding J Style Kayak Racks and Paddle Carriers and Rhino-Rack S510 Fixed J Style Kayak Racks and Carriers hold your kayaks securely on their sides. 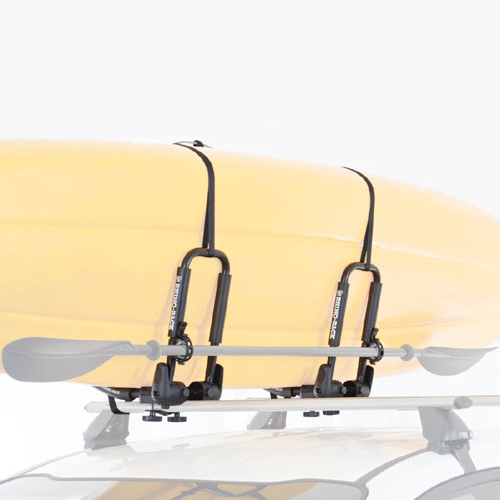 The Rhino-Rack rusl Universal Side Loader Kayak Load Assist adds convenience to loading and unloading your kayaks. Be sure to take a look the sleek looking Rhino-Rack Black and Silver Aero Crossbar Car Roof Racks. Rhino-Rack Bike, Bicycle, Cycle Racks are available to fit just about any frame style or budget. 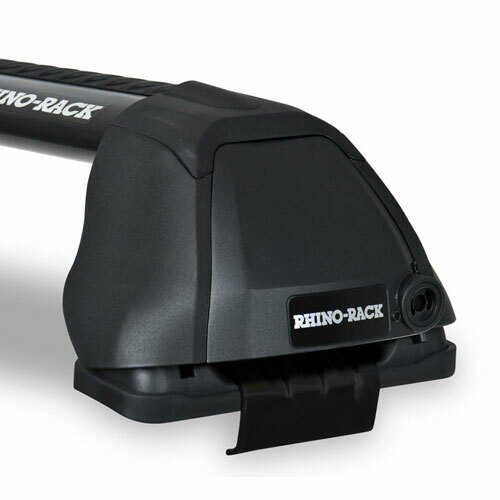 Rhino-Rack Bicycle Racks are designed to mount on trailer hitch receivers or car roof racks. 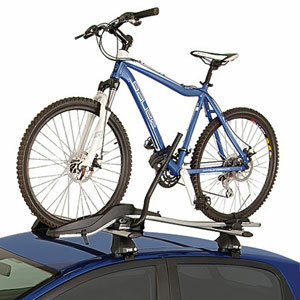 Rhino-Rack Roof Mount Bike Racks fasten to your car roof rack and carry your bikes upright either by the front fork, down tube or front tire. 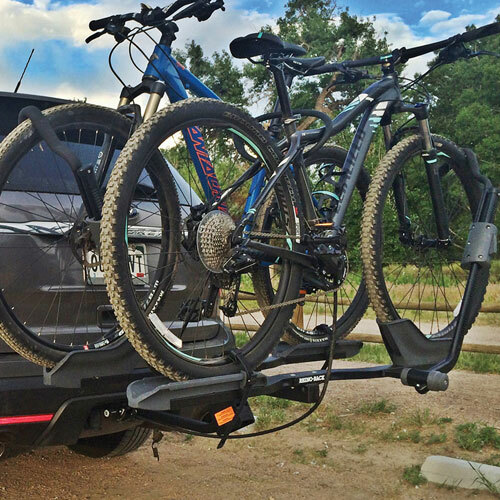 Rhino-Rack Trailer Hitch Receiver Mounted Bicycle Racks allow you to either hang your bikes by the top tube of your bike frame or fasten them into a platform style wheel tray that holds your bike by the front tire. Rhino-Rack Roof-Top Luggage Baskets, Gear Trays and Cargo Platforms are available in a variety of sizes, designs, materials and price points. XTrays include a built-in wind deflector are available in 2 sizes: Rhino-Rack rmcb01 XTray Small Steel Roof Top Luggage Basket and Rhino-Rack rmcb02 XTray Large Steel Roof Top Luggage Basket. Aluminum Alloy Trays are sleek looking, lightweight and available in 8 different sizes. Aluminum Pioneer Platforms are available in 5 sizes to accommodate just about any off road load. Rhino's Steel Mesh Baskets and Platforms are available in 10 different sizes and shapes and won't break the bank. 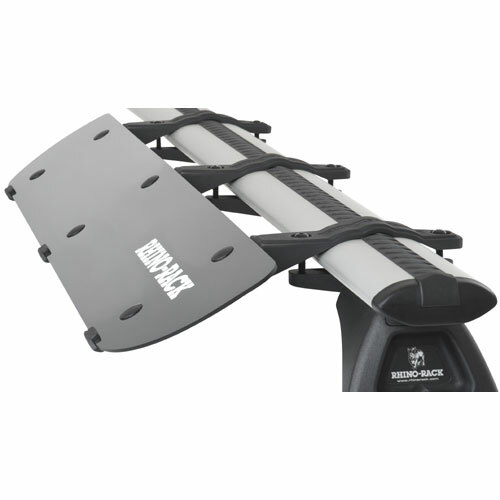 Rhino Racks Accessories like the Rhino-Rack rusl Universal Side Loader, Wind Fairings in 4 sizes like the Rhino-Rack rf1 32" Wind Fairings, attachments and add-ons are in stock, on sale, and available for immediate free shipping from RackWarehouse.com. If you're looking for a superior quality Rhino Aero Roof Rack, be sure to check out our wide selection of premium quality Rhino Aero Roof Racks. Rhino-Rack promotional items, closeouts, returns, displays, re-boxed and blemished items are discounted 20% to 30% at RackWarehouse.com. Most of these Awesome Deals! are single items in perfect condition. None have been used or have defects unless noted in the product description. Rhino-Rack's full Warranty applies to all of these Rhino-Rack items. If you have questions regarding any of these Rhino-Rack Awesome Deals!, please call us at 800 272-5362. Because of the deeply discounted pricing associated with these items, Coupon Codes do not apply to Awesome Deals Items. Awesome Deals Items are not returnable. To save you time, The Rack Warehouse lists the most popular selling Rhino-Rack Complete Car Roof Rack fits alphabetically by Auto Manufacturer. You'll find perfect fitting roof racks for most of today's top selling vehicles on this list. 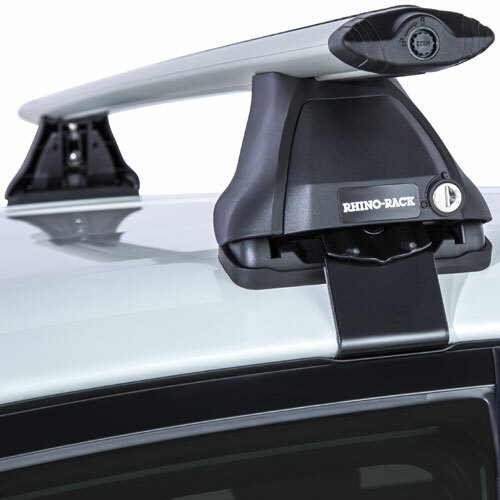 Rhino-Rack 2500 Series Complete Car Roof Racks are designed for vehicles with smooth or naked rooflines (with no racks or attachments), and the Rhino-Rack SXB Series Complete Roof Racks fit vehicles with factory installed raised rails. If you don't see your vehicle on this list, simply click on the Rhino-Rack Fit Guide at the top of the page, enter your vehicle information and the Rhino-Rack Fit Guide will do the rest. Once your Rhino-Rack order is received, we will double check your selection to be sure you have ordered the right rack for your vehicle. Rhino-Rack offers a broad range of vehicle roof racks and carriers. All Rhino-Rack Products are on sale, in stock, and available for immediate free shipping from RackWarehouse.com. Rhino-Rack aero crossbar car roof racks like the Rhino-Rack Black Raised Railing Aero Crossbar Car Roof Rack, kayak saddles and carriers like the Rhino-Rack S512 Folding J Style Kayak Rack and Paddle Carrier, luggage baskets like the Rhino-Rack rmcb02 XTray Large Steel Roof Top Luggage Basket, wind fairings like the Rhino-Rack rf2 38" Wind Fairing, ski and snowboard racks like the Rhino-Rack 574 Locking 4 Pair Ski Rack 2 Snowboard Carrier, load assist devices like the Rhino-Rack rusl Universal Side Loader, and more, are in stock. You may also use the Rhino-Rack Fit Guide at the top of this page to help you select a Rhino-Rack.